Liu, meanwhile, faces a more uncertain international future. After Lipinski won at nationals in ‘97, she took gold at the Nagano Olympics the following year. Liu’s national title came three years before the next Olympics, and under the current age restriction, she’s not eligible to compete at worlds until 2022. DETROIT (AP) — Alysa Liu was already a phenom. Now she’s a national champion at age 13. 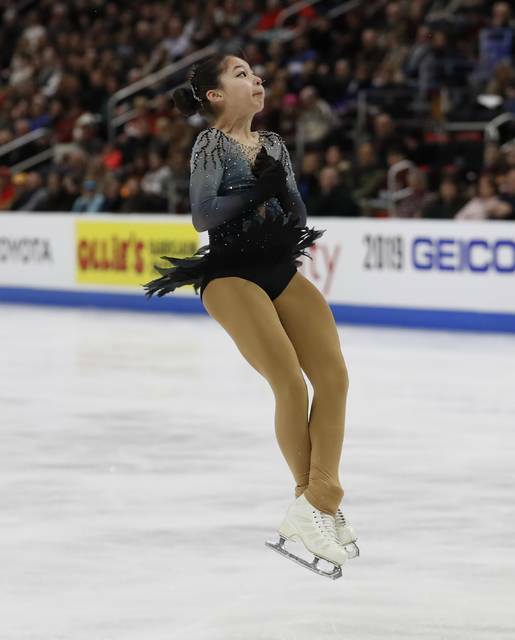 Chen began the program with a soaring quad lutz. Next up was a quad flip and a quad toe loop. Those three jumps earned Chen over 47 points, and he hadn’t even started his combinations. 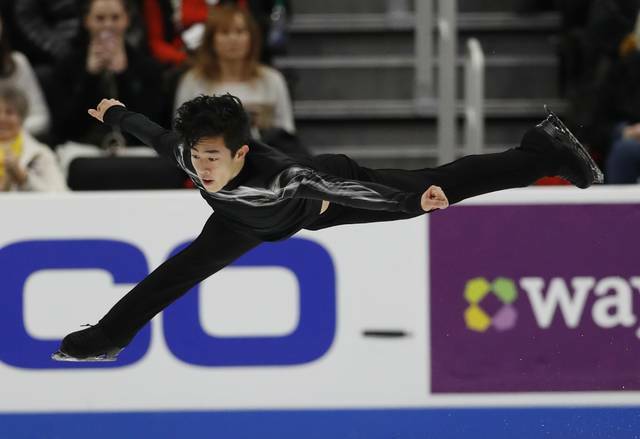 At the Olympics last year, Chen became the first man to land six quadruple jumps in program — that wasn’t enough for a medal, but he did win the free skate. He later won the world title, and now he seems as strong as ever despite balancing training with his studies at Yale. Zhou’s program included four quads as well, but one was downgraded when he fell, and two others were under-rotated. Brown, the 2015 U.S. champion, improved from a sixth-place showing at nationals last year, and he appears to be on an upswing after relocating to Toronto to train under Brian Orser. Zhou made the podium for a third straight year at nationals, although Chen was blocking his path to victory each time. It’s hard to see how much better Chen could perform, although his costume needed a bit of work — his shirt started to slide up on some of his spins. NOTES: U.S. Figure Skating announced that Chen, Zhou and Brown have been selected for the world championships in March. Pairs national champions Ashley Cain and Timothy LeDuc were selected as well, along with the top three ice dancing teams from Saturday night’s competition: Madison Hubbell and Zach Donohue, Madison Chock and Evan Bates, and Kaitlin Hawayek and Jean-Luc Baker. Bradie Tennell and Mariah Bell, who finished second and third in Friday’s women’s competition behind 13-year-old Alysa Liu, were also picked for worlds. SAN JOSE, Calif. (AP) — NHL Commissioner Gary Bettman said Friday the owners aren’t “looking for a fight” when it comes to collective bargaining negotiations with the players. The league announced two outdoor games for next season with the Dallas Stars hosting Nashville in the Winter Classic on New Year’s Day at the Cotton Bowl and Colorado playing Los Angeles at the Air Force Academy later in the season.